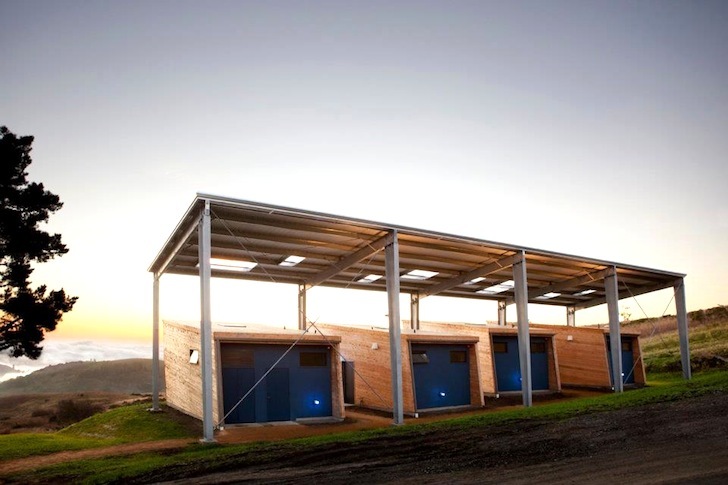 These four artist studios in in Woodside, California overlook a serene mountain valley, and they're entirely powered by a solar canopy. 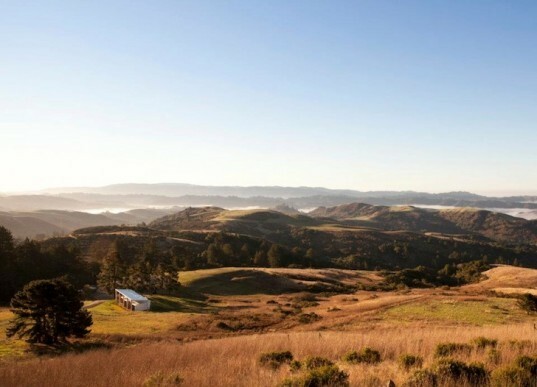 Designed by CCS Architecture in memory of Diane Middelbrook, co-founder of the Djerassi Resident Artists Program, the studios are set in an unparalleled setting of tranquil bliss. The four studios have concrete footings and timber framing. Small cutouts in strategic locations, including skylights, permit daylighting to permeate the quiet interior while preventing excess solar gain. A glazed opening overlooks the Pacific Ocean and a vast untouched landscape. Designed to promote contemplation, the studios are provided by the artists program for month-long residencies. The canopy topped with solar panels not only offsets the cost of creating such opportunities, something that Diane dreamed of doing while she was alive, but also contributes to the program’s overall ecological ethos. Sigh. We can only dream, right? What an amazing setting! Where do we sign up?